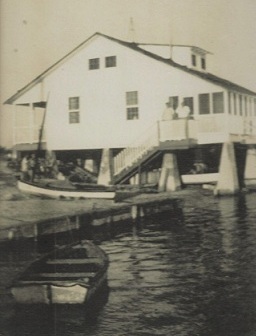 Founded in 1938 in the house of one of Flagler's bridge tenders on the Garrison Bight, the Key West Yacht Club remains the southernmost club in the United States. Celebration of the 75th Anniversary took place in 2013 in a newer facility built on fill provided by Club members under agreement with the City of Key West made at the time by the Club's funding. 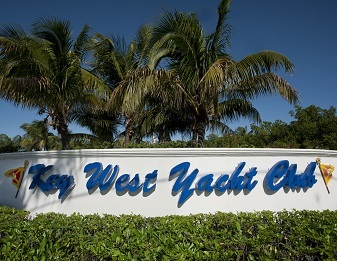 From the time when members stored their provisions in individual lockers and played cards with wooden chips to today's full bar, lounge and restaurant facility, fully serviced boat slips and dockside facilities, the Key West Yacht Club has grown with the times. It continues to be the gathering place for those who love great friendships, camaraderie, food, drinks and waterborne adventures. Our members have been part of Key West boating for generations, and the Club continues to be an environment for all of Key West's social interaction. Our social fabric is strengthened every day on and off the water. 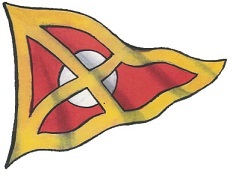 The Key West Yacht Club is a member of the Yachting Clubs of America. Members clubs reciprocity is extended to those outside of a 50-mile radius. 2011 W. Sam Holland 1978-1979 Jose T. Sanchez Jr.
2004 Paul Toppino 1974 Henry B. Montford, Jr.
1993-1994 Gary Blum 1968 William Wells, Jr.
1988-19899 Robert Padron 1955 Alan B. Bleare Jr.